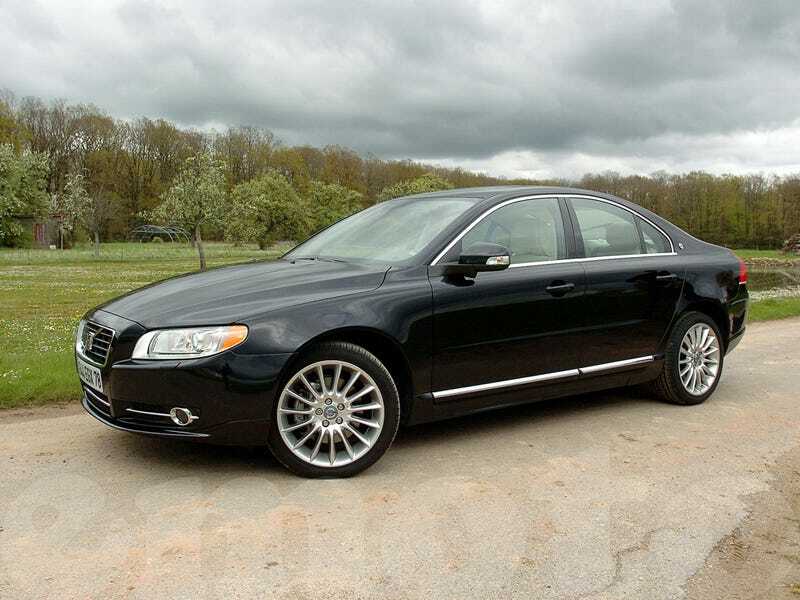 Nobody's really paid much attention to the Volvo S80, at least here in the United States. For years it's sat on dealer lots without generating significant interest from the majority of the motoring press. Reviews have always praised its trademark Volvo safety features, but inevitably its German rivals got the majority of the attention. Most of its customer base seems to be middle-aged doctors and lawyers that don't care about impressing the neighbors with a Mercedes S Class or a BMW 7 Series. As a new car, the S80 doesn't really have much going for it. Front wheel drive, a brand few people care about and an underwhelming interior are several reasons why it gets routinely passed over at the dealer lots. It's a leftover from the era when Ford owned Volvo, a time when they made solid but not spectacular cars. The S80 does represent a fantastic value on the used car market. A quick search on Autotrader reveals that most 2-3 year old S80s are going for under $30K. Here's a black-on-black 2012 with 37,217 miles for sale in Louisville, Kentucky. $25K doesn't even get you a decent Accord or Camry these days. As Tavarish has often said, used luxury cars are a great value for the money. The Volvo S80 is a great option for people who want luxury but don't care about the image and prestige that come with Audi or BMW. It also helps that you can get one for the price of a mid-range Hyundai Sonata.